[S28] James Alonzo Matthews, Jr. and Lucille Pearce, comps., Pearce, Bartlett, Matthews, Smart, and Allied Families (Austin, Tex. : Eakin Publications, Inc., 1983), p. 181 (naming William Nelson Ballard as his father). [S28] James Alonzo Matthews, Jr. et al., Pearce [etc.] and Allied Families, above, p. 181 (naming Catherine Edith Richardson as his mother). [S312] Social Security Death Index, online at http://tinyurl.com/AncestrySSDI, viewed on 8 Nov 1998. [S28] James Alonzo Matthews, Jr. et al., Pearce [etc.] and Allied Families, above, p. 182 (naming Sarah Gillilland as her mother). [S28] James Alonzo Matthews, Jr. et al., Pearce [etc.] and Allied Families, above, p. 182 (naming Sarah Gillilland as his mother). [S28] James Alonzo Matthews, Jr. and Lucille Pearce, comps., Pearce, Bartlett, Matthews, Smart, and Allied Families (Austin, Tex. : Eakin Publications, Inc., 1983), p. 182 (naming William Clay DeLashmutt as her father). Other Names*: Lula DeLashmutt, Lula May DeLashmutt Dean, Lula DeLashmutt Dean, Lula May Dean, Lula Dean, Lulu DeLashmutt, Lulu May DeLashmutt Dean, Lulu DeLashmutt Dean, Lulu May Dean, Lulu Dean. "The old adage against borrowing trouble is forever being emphasized anew, and the folly of it being more completely established. For example there were a good many of the friends of Mr. C. E. Dean who had grown apprehensive that he was going to leave the scripture injunction half unfulfilled. He had left father and mother but the cleaving unto a wife seemed to be not in his mind. But behold how appearances deceive. For on Wednesday, June 15, he stood as gallantly as anyone might with Miss Lulu DeLashmutt and together they uttered the vows that made them one for life. "The day was an ideal one—“a perfect day in June”—and the occasion was all that could be desired. The decorations were unusually profuse, the beautiful June roses being everywhere in evidence. It was an ideal wedding in every way and one long to be remembered by those present. "Miss DeLashmutt is the daughter of Mr. W. C. DeLashmutt and is so well and favorably known that words of commendation are hardly needed. And yet they are hardly avoided, for those who know her find it difficult to speak of her at all without the warmest praise. In the home, in the social circle, in the public schools where she taught for several years, in every walk in life her true womanhood was displayed. Mr. Dean has made for himself a place in the legal profession of Mills county as well as in the esteem of the community in which he has lived. For several years past Mr. Dean has been city attorney of Glenwood. Possessing energy and ability, coupled with habits of industry and economy, his future success in life is assured. [S28] James Alonzo Matthews, Jr. et al., Pearce [etc.] and Allied Families, above, p. 182 (giving the date but not the place). [S1346] Mills County Tribune, Glenwood, Iowa, online at http://www.newspapers.com, 16 Jun 1898, p. 2, col. 5. [S28] James Alonzo Matthews, Jr. et al., Pearce [etc.] and Allied Families, above, p. 182 (naming Jessie C. DeLashmutt as his mother). [S28] James Alonzo Matthews, Jr. and Lucille Pearce, comps., Pearce, Bartlett, Matthews, Smart, and Allied Families (Austin, Tex. : Eakin Publications, Inc., 1983), p. 182 (naming William Clay DeLashmutt as his father). [S28] James Alonzo Matthews, Jr. et al., Pearce [etc.] and Allied Families, above, p. 182 (naming William Lindsey DeLashmutt as his father). [S1434] The Malvern Leader, Malvern, Iowa, online at http://www.newspapers.com, 28 Jan 1892, p. 5, col. 5. [S1434] The Malvern Leader, Malvern, Iowa, above, 28 Jan 1892, p. 5, col. 5 (first bullet). [S1346] Mills County Tribune, Glenwood, Iowa, online at http://www.newspapers.com, 11 Feb 1892, p. 4, col. 2 (second bullet). [S28] James Alonzo Matthews, Jr. and Lucille Pearce, comps., Pearce, Bartlett, Matthews, Smart, and Allied Families (Austin, Tex. : Eakin Publications, Inc., 1983), p. 182 (naming Daniel Dean as his father). [S28] James Alonzo Matthews, Jr. et al., Pearce [etc.] and Allied Families, above, p. 182 (naming Mary Bell as his mother). Marriage*: He married Mary Bell. Marriage*: She married Daniel Dean. [S28] James Alonzo Matthews, Jr. and Lucille Pearce, comps., Pearce, Bartlett, Matthews, Smart, and Allied Families (Austin, Tex. : Eakin Publications, Inc., 1983), p. 182 (naming Mary Bell as his mother). [S28] James Alonzo Matthews, Jr. and Lucille Pearce, comps., Pearce, Bartlett, Matthews, Smart, and Allied Families (Austin, Tex. : Eakin Publications, Inc., 1983), p. 182 (naming Jessie C. DeLashmutt as his mother). [S28] James Alonzo Matthews, Jr. et al., Pearce [etc.] and Allied Families, above, p. 182 (naming Ernest Stone as his father). [S28] James Alonzo Matthews, Jr. and Lucille Pearce, comps., Pearce, Bartlett, Matthews, Smart, and Allied Families (Austin, Tex. : Eakin Publications, Inc., 1983), p. 182 (naming Ernest Stone as his father). [S312] Social Security Death Index, online at http://tinyurl.com/AncestrySSDI, viewed on 8 Nov 1998 (not naming the place of death but stating that he lived in Sloughhouse, California when he died). Idamay Dukeminier, from online newspaper obituary. Other Names*: Idamay Miles Dukeminier, Idamay Dukeminier. "II Timothy 4:7 — I have fought the good fight, I have finished the race, I have kept the faith. "Idamay Miles Dukeminier was born in Rice on June 28, 1909. She passed away at home on April 19, 2008. "She was preceded in death by her husband, Randell Clark Dukeminier; her parents, M.S. and Viola Allen Miles; her brothers, Sherman and Joel Miles; her sisters, Lala South and Bessie Montgomery. "Idamay was a school teacher, having begun her teaching career in Rural Shade. She retired from the Houston Independent Schools. While teaching in Houston she served as president of the Houston Teachers Association. A member of First Baptist Church, Corsicana, she was active in Delta Kappa Gamma, Navarro County Retired Teachers, James Blair Chapter DAR, Navarro County Democrats and Navarro County Historical Society. "She loved her Lord, she loved her family and she was a lifelong staunch Democrat. "Her family extends their thanks to her caregivers Brenda Anderson, Ouida Melton and Lola Boatright; Dr. Deepak Patel and all the doctors and nurses at Navarro Regional Hospital; and the nurses and caregivers from Family First Hospice. "A visitation is scheduled from 3 to 5 p.m. today at Corley Funeral Home. "Graveside services will be held at 11 a.m. Monday at Rice Cemetery with the Rev. Robert Wareing officiating. "An online guest book is available at www.corleyfuneralhome.com by selecting the Idamay Miles Dukeminier obituary. 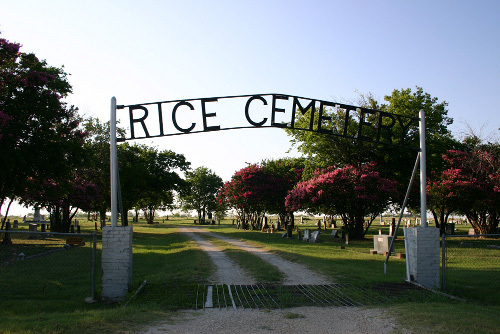 [S440] Navarro County Cemetery Records, vol. 4 (Corsicana, Tex. : The Navarro County Gen. Soc'y, 1985), p. 79 (giving only the year and not naming the place). [S585] Corsicana Daily Sun, Corsicana, Tex., online at http://www.corsicanadailysun.com 20 Apr 2008 (obituary of Idamay Miles Dukeminier). [S1108] Social Security Death Index, online at http://tinyurl.com/RootswebSSDI, viewed on 30 Dec 2008 (giving the date but not the place). [S961] Find A Grave, online at http://www.findagrave.com, memorial for Idamay M. Dukeminier, memorial no. 7630833, viewed on 25 Feb 2014. [S961] Find A Grave, online, above, memorial for Randell Clark Dukeminier, memorial no. 7630843, viewed on 25 Feb 2014. [S961] Find A Grave, online, above, memorial for Idamay M. Dukeminier, memorial no. 7630833, viewed on 25 Feb 2014 (stating that she died on 19 Apr 2008 in Rice, Texas). [S961] Find A Grave, online, above, memorial for Idamay M. Dukeminier, memorial no. 7630833, viewed on 25 Feb 2014 (not giving the date). [S585] Corsicana Daily Sun, Corsicana, Tex., online at http://www.corsicanadailysun.com 20 Apr 2008 (reprinted here with consent of the Corsicana Daily Sun). [S961] Find A Grave, online at http://www.findagrave.com, memorial for Annie Laura Pollan, memorial no. 7685299, viewed on 13 Feb 2012. [S440] Navarro County Cemetery Records, vol. 4, above, p. 99 (common marker with Litt M. Pollan). Marriage*: He married Mary Elizabeth Carswell, daughter of Alexander Carswell and Patsy Ball, circa 1838 in Twiggs County, Georgia. [S444] Pauline Mitchell Pierce, Descendants of John Gallimore, Sr., online http://www.familytreemaker.com/users/p/i/e/Pauline-M-Pierce, viewed on 18 Jan 1999 (naming John Gallimore, Sr. as his father). [S444] Pauline Mitchell Pierce, Descendants of John Gallimore, Sr., above (naming Hannah Gaines as his mother). [S940] Janet Thompson, "Robertson Family," in Family Histories of Henderson County, Texas (Athens, Tex. : Henderson County Hist. 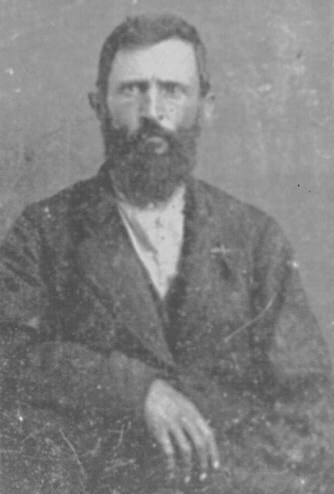 Comm., 1981), p. 156 (stating that he was born on 16 Nov 1821 and that he was from Twiggs County, Georgia). [S444] Pauline Mitchell Pierce, Descendants of John Gallimore, Sr., above (naming John Gallemore as her father). [S444] Pauline Mitchell Pierce, Descendants of John Gallimore, Sr., above (naming John Gallemore as his father). [S940] Janet Thompson, "Robertson Family," above, p. 156 (naming John Gallemore as her father). Marriage*: She married John Gallemore, son of John Gallimore Sr. and Hannah Gaines, circa 1838 in Twiggs County, Georgia. [S940] Janet Thompson, "Robertson Family," in Family Histories of Henderson County, Texas (Athens, Tex. : Henderson County Hist. 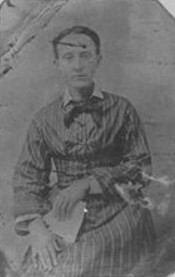 Comm., 1981), p. 156 (stating that she was born on 4 Oct 1821 and that she was from Twiggs County, Georgia). [S487] Athens (Tex.) City Cemetery, online at http://tinyurl.com/OldAthens, viewed on 6 Jan 2007 (giving her name as Elizabeth Gallemore). [S444] Pauline Mitchell Pierce, Descendants of John Gallimore, Sr., online http://www.familytreemaker.com/users/p/i/e/Pauline-M-Pierce, viewed on 18 Jan 1999 (giving the year and place). [S487] Athens (Tex.) City Cemetery, online at http://tinyurl.com/OldAthens, viewed on 6 Jan 2007 (giving her name as Elizabeth Gallemore and giving the date but not the place). [S444] Pauline Mitchell Pierce, Descendants of John Gallimore, Sr., above (naming Mary Elizabeth Carswell as her mother). [S940] Janet Thompson, "Robertson Family," above, p. 156 (naming Elizabeth Carswell as her mother). Birth*: He was born in 1793. Marriage*: He married Patsy Ball. Death*: He died in 1831.